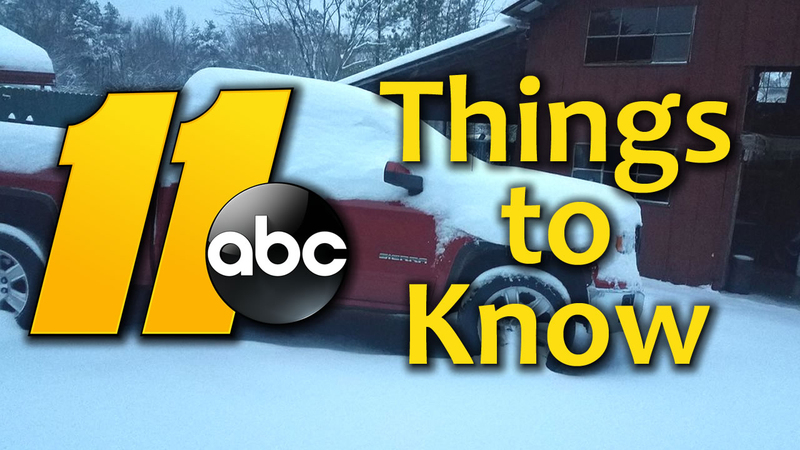 As winter weather blankets central North Carolina, ABC11 has the 11 things you need to know about the snow. 2. Road closures - click here for the latest information. 3. Super-low temperatures bring risk of frozen pipes. Here's how you can avoid that happening in your home. 5. The proper way to salt your driveway and walkways - click here to learn more. 6. Click here to learn how to drive out of a skid. 9. 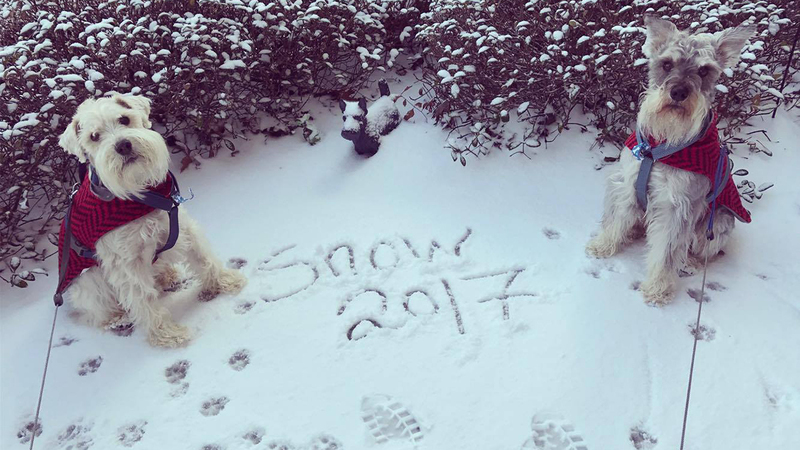 Click here for government, business, and church closings and delays. 11. ABC11 is your Weather Information Center! We are online and on-air bringing you the latest live reports throughout the day. Reach out to us on Twitter, Facebook, and Instagram with your weather pictures and questions using #ABC11.